1. 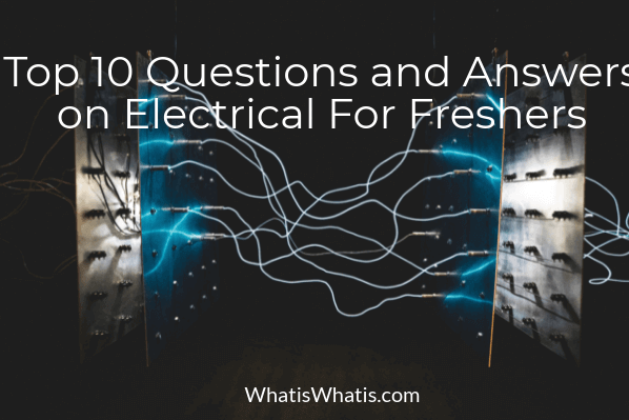 Why do we use a 3 phase supply ? why not 4 or something else ? Ans: 3 phase power generation and distribution is more efficient than a 2 phase system which in turn is more efficient than a 1 phase system. As the number of phases increases the the efficiency keeps on increasing as the power delivery becomes more continuous there by reduces the ripples. On the other hand increasing the phases means additional cost of installation of the wires more terminals which raises the cost of project exponentially where the increase in efficiency is very low. Therefore we use a 3 phase system which is a balance between quality and cost. 2. Why is the starting current very high in a DC motor ? (where V is Terminal voltage, Eb is Back emf in Motor,Ia is Armature current, Ra is the Armature resistance). At starting the back emf is 0 and Ra is very less. So Ia becomes enormously high. 3. What is holding current ? 4. Why thyristor is considered as Charge controlled device? SCR is considered a charge controlled device because while triggering the thyristor from forward blocking state to forward conduction state through the gate signal, by applying the gate signal (voltage between gate and cathode) increases the minority carrier density in the p-layer and thereby facilitate the reverse break over of the junction J2 and thyristor starts conducting. Higher the magnitude of the gate current pulse, lesser is the time required to inject the charge and turning on the scr. So we see that by controlling the amount of charge we can control the turning on time of the scr hence the name. 5. Why are series motors never started on no-load? Series motor on starting on no-load achieves dangerously high speeds which might damage the armature windings and the bearings due to which it is avoided. 6. 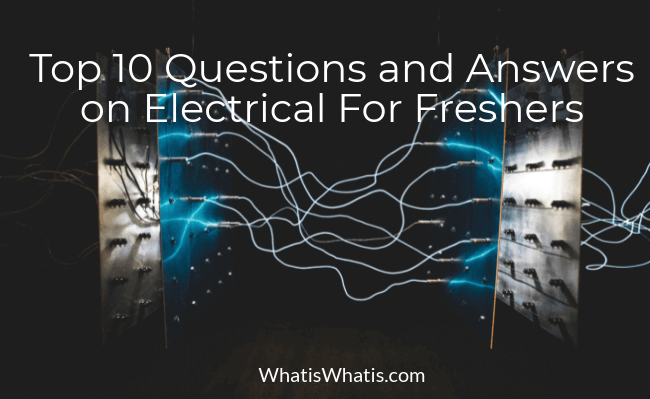 What is Automatic Voltage regulator(AVR)? AVR is short for Automatic Voltage Regulator which is an important part in Synchronous Generators, it controls the output voltage of generator by controlling its excitation current. Thereby controlling the output Reactive Power of the Generator. These are generally protection relays used in transmission lines to check the line currents, which if exceeds triggers the circuit breaker. 8. 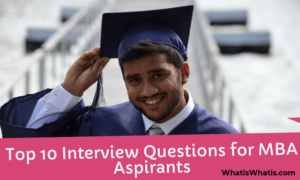 What is ferranti effect? During the no load or light loaded conditions in high voltage lines the receiving end voltage becomes more than the sending end voltage. This phenomenon is known as the ferranti effect. 9. Why are transformer ratings in kva? Unlike other electrical devices the power factor in transformer is dependent on the load and not on the device itself, therefore the VA rating is mentioned. But in case of motors, power factor depends on construction and hence the rating of motors is in K Watts and include power factor. 10. Why is speed control of motors done using thyristors ? Fast Switching Characteristics than Mosfet, BJT, IGBT. 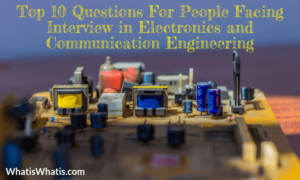 Top 10 Questions For People Facing Interview in Electronics and Communication Engineering Jobs? How Much SEO is Dependent on Link Building? WhatisWhatis.com is a social questions & Answers Engine which will help you establish your community and connect with other people.